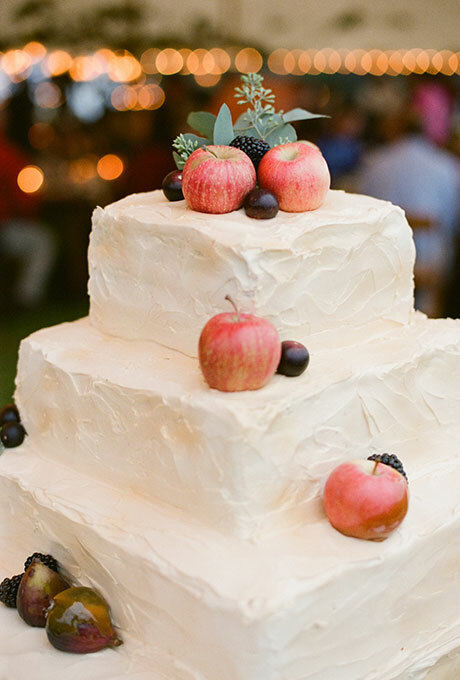 This is the perfect fall cake with the apples, figs, dark berries, and succulents as the only decorations. I really love the simplicity of the square tiers and the icing that looks less-than-perfect. It gives the cake a very homemade look and keeps it from being too fussy. It would be the ideal centerpiece at your late fall wedding, especially if the wedding had a rustic vibe. We found this wedding cake here.